The Maninka, also known as the Malinké or Mandingo, are a West African people who mainly originated from mostly rural areas in Guinea and Mali, but also from Senegal, Liberia, and Sierra Leone. They trace their roots back to the famous Mali empire king, Sundiata Keita. Due to poor economic conditions in their home countries, many Maninka have made their way to America in search of a better life. Most Maninka came to the United States for economic gain, and many left their families behind in Africa. Only a small portion of Maninka are in the United States legally, which means a great majority work long hours at difficult service jobs. Nevertheless, many Maninka manage to regularly send back money to wives, children, parents, friends, and other family members. As a result, their life is defined by work. This difficult time in life is seen as a necessary evil in order to return to their home country to live in prosperity. They are steeped in Islam and African traditional religion. 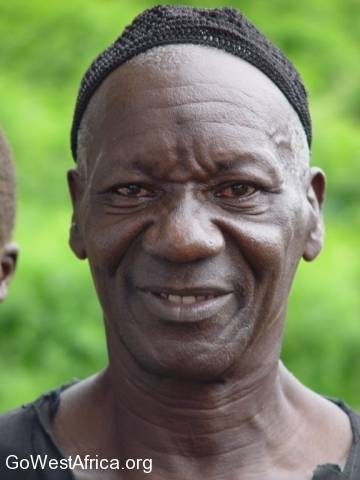 Ask God to visit the Maninka people in dreams and visions, preparing them to receive the Gospel message. Ask God to call out believers willing to use oral Bible storying methods to share the Gospel with the Maninka. Maninka strive to appease God through good works. Pray they would believe in the Truth and accept the grace of God’s salvation gift.